Download the game, Bridge Builder, for free here. 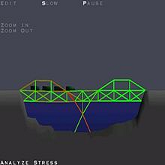 This version of Bridge Builder is the newest version of the game, which first entered the market back in year 2000. 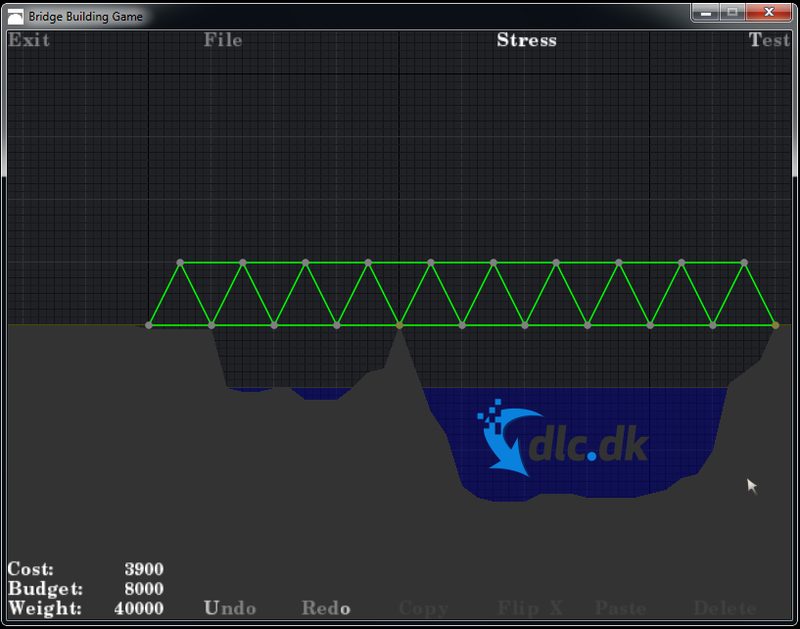 Bridge Builder is a small game, with simple graphics. The game is very entertaining in spite of this though. 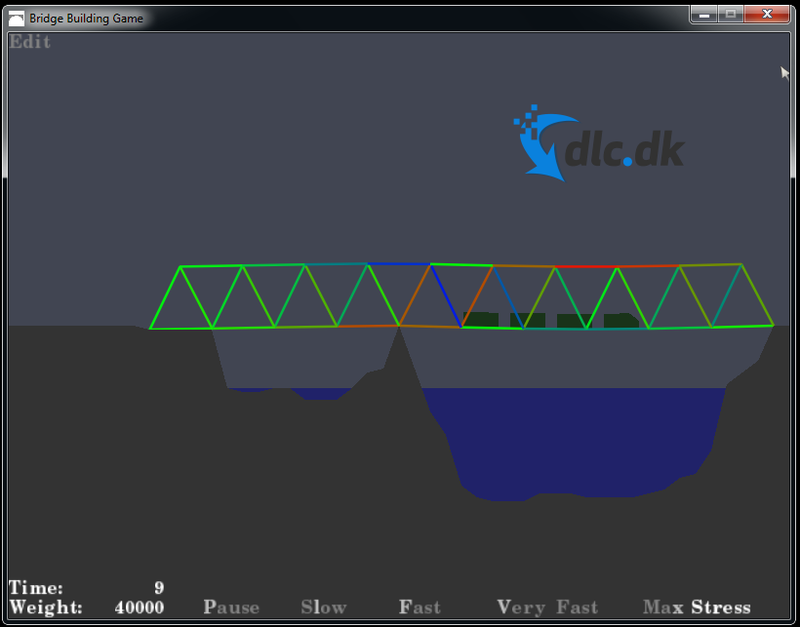 Your mission in the game is to build bridges over waters. The bridges should not only be able to stand. To finish a level you'll have to let a train pass the bridge. To build a bridge being able to handle the stress from a train is not always as easy as it sounds. Furthermore your budget for each bridge is limited making it even more difficult. Bridge Builder is a great game, which most people will like, however especially people interested in tech and engineering will like it. 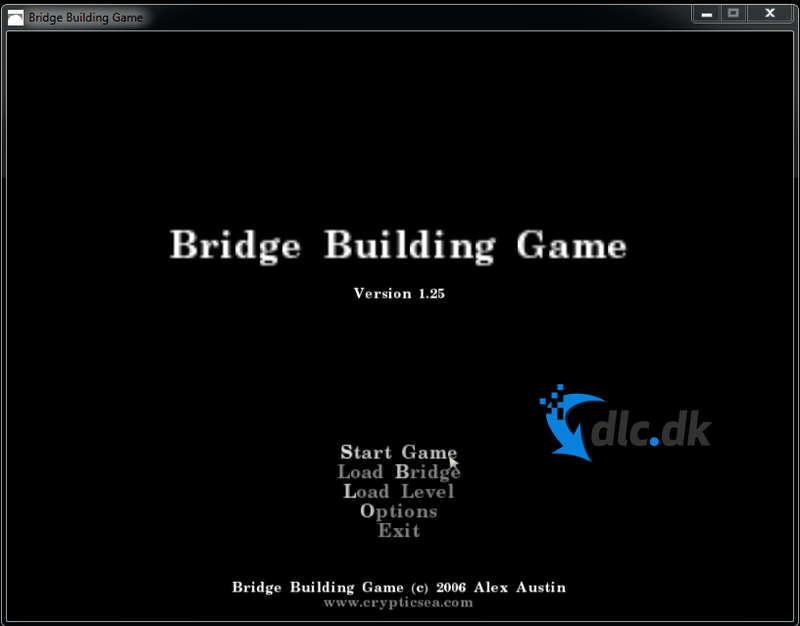 You can also download Bridge Builder for Mac here. Find Bridge Builder, mark it and choose "Uninstall"
Should Bridge Builder has been damaged or corrupted and thereby difficult to remove we can recommend you finding help to uninstall it here.